With consideration for the amount of time, money, and resources needed to develop sustainable mobility to help combat rising emissions and continuing to utilize currently available technology, Toyota announced today two measures related to its patents and technical knowledge to further promote the widespread use of electrified vehicles. First, Toyota announced that it will grant royalty-free licenses on nearly 24,000 patents it holds (including some pending applications) for vehicle electrification-related technologies. 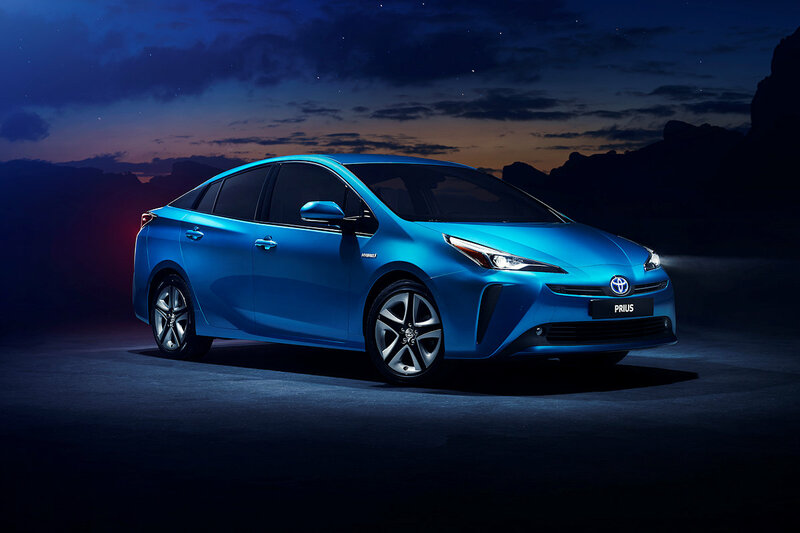 Second, Toyota will provide fee-based technical support to other manufacturers developing and selling electrified vehicles when they use Toyota's motors, batteries, PCUs, control ECUs, and other vehicle electrification system technologies as part of their powertrain systems. Ultimately, by granting royalty-free patents and providing technical support on its vehicle electrification systems, Toyota aims to help further promote the widespread use of electrified vehicles, and in so doing, help governments, automakers, and society at large accomplish goals related to climate change. The royalty-free patents are advanced technologies found in electrified vehicles, particularly those used in hybrid electric vehicles (HEV) that have helped Toyota realize enhanced performance, reduced size, and cost reductions. More specifically, the patents included are for parts and systems, such as electric motors, power control units (PCUs), and system controls. These are core technologies that can be applied to the development of various types of electrified vehicles including HEVs, plug-in hybrid electric vehicles (PHEV), and fuel cell electric vehicles (FCEV). Together, Toyota will offer approximately 23,740 patents awarded over more than 20 years of electrified vehicle technology development. The grant period will start immediately and last through the end of 2030. Contracts for the grants may be issued by contacting Toyota and discussing specific licensing terms and conditions. Toyota has already been offering 5,680 patents related to its fuel cell electric vehicles (FCEV) since January 2015. Now, Toyota is adding approximately 2,590 patents related to electric motors, 2,020 patents related to PCUs, 7,550 patents related to system controls, 1,320 engine transaxle patents, 2,200 charger patents, and 2,380 fuel cell patents (bringing the total of fuel cell related patents to 8,060). As for the fee-based technical support Toyota will offer, specifics include providing overviews of vehicle electrification systems, control guides, and detailed explanations of tuning guides for vehicles that will utilize its systems. The guidance that Toyota will provide, for example, includes helping other automakers to achieve high-level product performance in terms of fuel efficiency, output, and quietness fit for the vehicles they are working to develop. The services will be contract-based. More details will be provided to interested parties. By offering both royalty-free patents and technical support for electrified vehicles, Toyota sees an opportunity to encourage the development and market introduction of electrified vehicles around the world, something it has long considered a top-priority management issue based on its strong belief that environmentally-conscious vehicles will contribute to the fight against climate change only if they come into widespread use through reductions in CO2 emissions. In 2015, Toyota identified targets to reduce its own emissions and established the Toyota Environmental Challenge 2050, a set of long-term action targets for sustainability, aiming to reduce CO2 emissions from its vehicles and plants, and in 2017, Toyota announced a sales plan for the proliferation of electrified vehicles covering the period through the end of 2030.